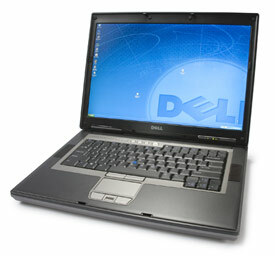 Dell Latitude D820 is a portable desktop replacement business notebook for small business, academic and corporate users. Dell Latitude D820 is an enhancements from Dell Latitude D620 and the laptop features Intel Core Duo processor, 15.4 inch Wide Screen WXGA LCD Pan, Nvidia Quadro NVS TurboCache graphics card, integrated 3G wireless, integrated Wi-Fi, and excellent battery life. The laptop weighs from 2.5 kg.